Open Dental is designed for use in a paperless office, but there are still some offices that like to use printed routing slips. In Standard Reports, in the Daily section, click Routing Slips. From here Open Dental can print a batch of routing slips for all appointments for an entire day. To customize routing slips, see Routing Slip Layout. 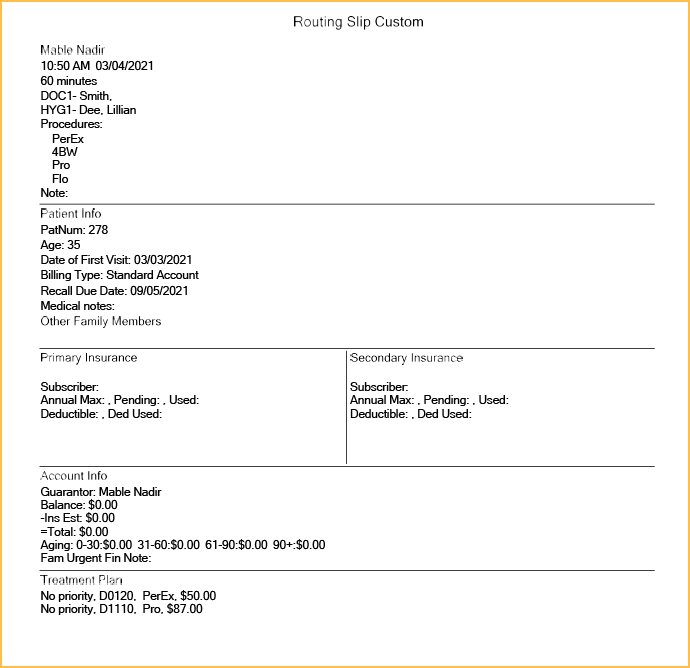 Providers: Highlight the Providers to print routing slips for. Check All to select all providers. Clinics: Highlight the clinics to print routing slips for. Check All to select all clinics. Date: Enter the date. 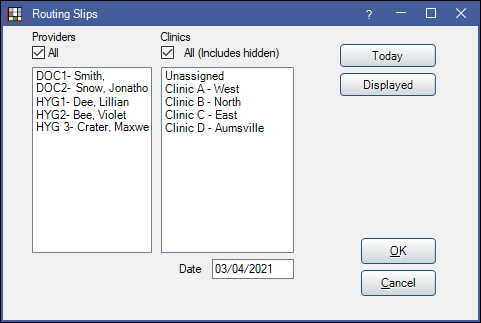 Click Today to insert today's date, or Displayed to insert the current date shown in the Appointments module. Right click on an appointment, then click Routing Slip. Click the Print Icon. Print all routing slips for the day, or for the current view. Below is an example of the internal Routing Slip.